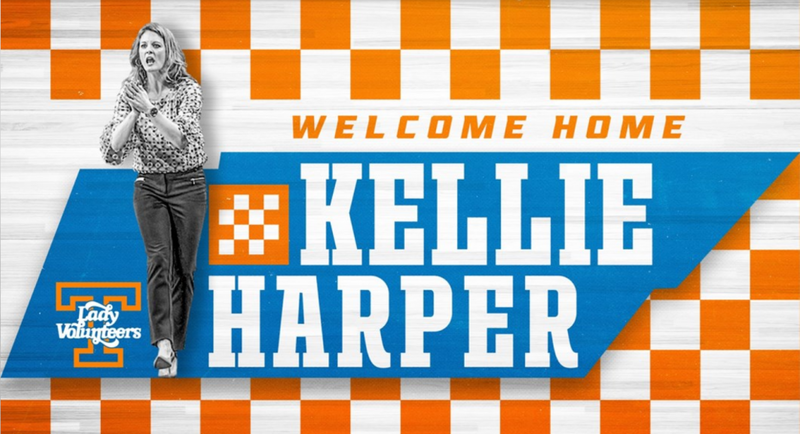 Tennessee made it official on Tuesday, releasing a statement welcoming in former Lady Vol Kellie Harper as the new head coach of the Lady Vols’ women’s basketball program. UT Athletics Director Phillip Fulmer announced on Tuesday that Harper will take over as the Lady Vols’ head coach, replacing Holly Warlick after seven years as the head coach. Harper signed a five-year contract worth $750,000 annually. She will be officially introduced as the new head coach in a press conference on Wednesday. “I’m excited to have Kellie as our new women’s basketball coach,” Fulmer said via a statement. “She is a Lady Vol through and through. Her love of the game, her care and love for her players, and her loyalty to UT all came through during the interview process. Harper will be only the third Lady Vol head coach ever in the NCAA era of women’s basketball. The legendary Pat Summitt was the first, and she was succeeded by Holly Warlick after she stepped down due to a diagnosis of early onset dementia. Kellie Harper — then Kellie Jolly — played guard for the Lady Vols under Pat Summitt in the 90s. The Sparta, Tennessee native helped the Lady Vols win three-straight national titles from 1996-98 as a point guard, and she was a head coach at Western Carolina and NC State before taking over at Missouri State. She took the Lady Bears to the Sweet Sixteen this season and has been a head coach for 15 years. The soon to be 42-year-old coach has compiled a 258-208 record as a head coach. After Harper graduated from Tennessee, she took a job the following season as an assistant at Auburn in 2000. After one season there, she became an assistant under Wes Moore at Chattanooga from 2001-04. She accepted the Western Carolina head coaching position after that. Harper went 97-65 in four seasons with Western Carolina, taking them to two NCAA Tournaments. She parlayed her success there to a job at NC State and left to coach the Wolfpack in 2009. But she couldn’t find similar success there. NC State made the NCAA Tournament in Harper’s first season, but they went 14-17 in Harper’s second year at the reigns. Harper’s third team went 19-16, then her fourth finished 17-17. She was let go at the end of that season. Harper’s NC State squads never finished better than .500 in conference play. After being let go by NC State, Harper accepted a position as Missouri State’s head coach. She helped the Lady Bears reach the NCAA Tournament in her third year as head coach, then took them to the tournament again in her sixth season this past season. The Lady Bears made it all the way to the Sweet Sixteen as an 11-seed, losing to No. 2 seed Stanford 55-46 in the Round of 16. It marked the first time since 2001 that Missouri State had made it to the Sweet Sixteen, and the Lady Bears’ 25 wins this season were the most since the 2004-05 team went 25-8 and won the WNIT championship. Harper won the 2007 SoCon Coach of the Year, the 2019 Missouri Valley Coach of the Year, and the 2019 Kay Yow Coach of the Year, the award given annually to the Division I women’s head coach who embodies a winning spirit while displaying great character, on and off the court. Interestingly, Harper was a player while Holly Warlick, the coach she’ll be replacing at Tennessee, was an assistant for the Lady Vols. Warlick took over as head coach of the Lady Vols in 2012 after legendary head coach Pat Summitt resigned after being diagnosed with early onset dementia. Warlick made three Elite Eight appearances in her first four years, but things slid drastically downhill after that. The veteran coach was let go as the Lady Vols’ head coach on March 27th after a disappointing 19-13 season and 7-9 record in SEC play. This past season marked the first time in over 40 years the Lady Vols failed to win at least 20 games in a season and was the first time ever the Lady Vols finished with a record below .500 in conference play. Warlick had served nearly 40 years as a Lady Vol as a player, assistant coach, and head coach.